The personal injury attorneys at the Law Offices of Gregory Krasovsky provide legal support and representation to plaintiffs pursuing a toxic mold lawsuit. In order to successfully secure a toxic mold settlement, it it important to work with an experienced toxic mold lawyer. At the Law Offices of Gregory Krasovsky, we work tenaciously to help our clients receive just compensation for their injuries. Contact a toxic mold attorney today and schedule a free consultation. Toxic mold is particularly dangerous to humans because the spores are airborne. You could be inhaling toxic mold without even realizing it. Toxic mold, especially black mold, can cause a fungal infection, hypersensitivity, mycotoxin toxicity, and other conditions. Unfortunately, it is the most vulnerable members of society who are most susceptible to black mold, such as infants and people with weak immune systems. If you believe that you or one of your loved ones has been injured by toxic mold and also believe that the negligence of some third party was the cause, then consult a lawyer in order to see what kind of damages you might be entitled. 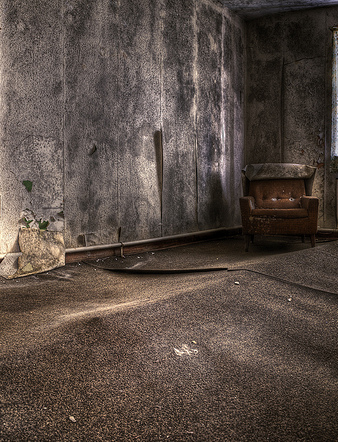 Often owners of buildings are negligent in the removal of toxic mold and can be held responsible. Even clean-up operations, when done incorrectly, can cause unhealthy amounts of toxic mold release. If you have been experiencing health problems after moving into a new home, toxic mold might be the cause. Contact our attorneys to schedule a free consultation. We believe anyone injured because of toxic mold has a right to maximum compensation.